Machinery Industry Press, 2017-06-01. paperback. New. Ship out in 2 business day, And Fast shipping, Free Tracking number will be provided after the shipment.Language:Chinese.Paperback. Pub Date: 2017-06-01 Pages: $number Publisher: Machinery Industry Press This book is a reference book on how to combat the fouling of marine organisms. 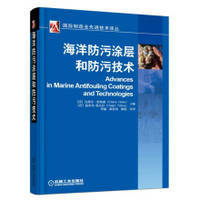 and systematically introduces marine antifouling coatings and antifouling techniques. This book covers all aspects of the fouling of marine life and human confrontation. not only in basic research and engineering research. but also in the field of ocean legislation and business ... Satisfaction guaranteed,or money back.